'Wizard of Oz' draft scripts head for auction block - SABC News - Breaking news, special reports, world, business, sport coverage of all South African current events. Africa's news leader. The original handwritten first draft script for the film " The Wizard of OZ." 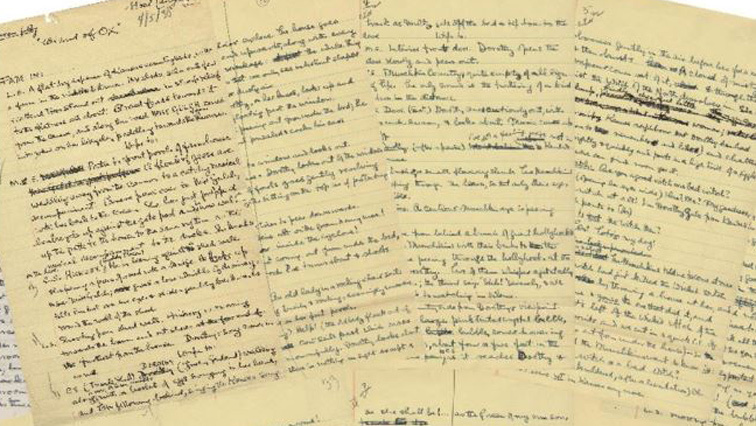 A collection of draft scripts for “The Wizard of Oz” and other material from the archives of the 1939 film are going up for auction in December and could fetch up to $1.2 million. Langley’s first three original drafts, dated between 5 April and 14 May , 1938, are being sold alongside a fourth draft of the screenplay, written by Florence Ryerson and Edgar Allan Woolf, and a fifth draft from August 1938 by Langley. “It is the single most important manuscript in Hollywood history,” Brian Chanes, head of consignment at Profiles in History, told Reuters. Profiles in History put an estimated sale value of $800,000 – $1.2 million on the archival material, which will be auctioned during its Hollywood memorabilia sale in Los Angeles from 11-14 December. .
“The Wizard of Oz” won just two Oscars – for its music – after it was released in 1939 but went on to become one of the best-known musicals in Hollywood history. In 1989, it was among the first to be preserved by the National Film Registry. This entry was posted on 08 Nov 2018,09:31PM at 9:31 PM and is filed under Lifestyle. You can follow any responses to this entry through the RSS 2.0 feed. Both comments and pings are currently closed.